MyMap.in is a sister concern of TeloGo Communications Limited, a leading global telecom technology service organization, focusing on mobile messaging services worldwide. We offer power packed mobile messaging solutions to enterprises of all verticals, mobile operators, aggregators, ISPs and resellers. 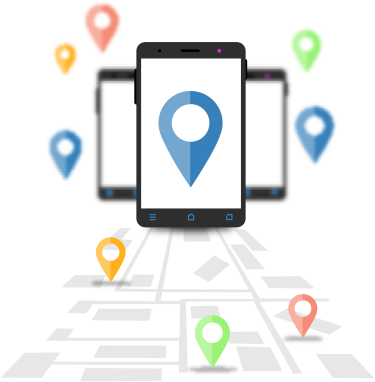 MyMap.in, GPS Tracking product line helps companies with mobile fleets reduce operating costs and manage mobile assets more efficiently. Our goal is to allow the user real-time access to its mobile or fixed assets anywhere, anytime. The systems provide an integral and complete solution, consisting of unique software and innovative equipment. Thanks to the user-friendliness of the system; it provides useful and effective solution, based on each user's settings and requirements. You can track 24 hours a day through any internet connection around the world and get SMS alerts on reaching particular place. The company's continuous investment in R&D positions the company and its products at the front of technological progress. Our products include certifications from all the leading standards in the world. We also aim to consistently deliver a professional service to our customers with maximal availability. Maximizing Performance from vehicles and service representatives of our clients.